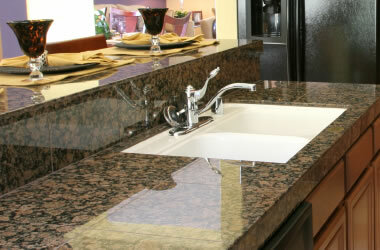 Countertops, tile, curbing, dimension stone, curling stones, gemstones and more. The United States won its first-ever Olympic Gold Medal in the sport of curling at the 2018 Winter Olympics. This brought a lot of attention to the sport of curling, and to granite - the rock used to manufacture the curling stones, also known as "rocks," used to play this sport. 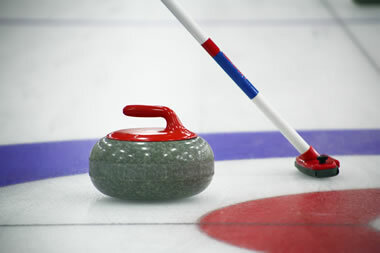 Curling stones weigh between 38 and 44 pounds and are made from granites with special physical properties. The granite must be able to absorb repeated impacts without chipping and maintain a smooth running surface to glide smoothly across the ice. 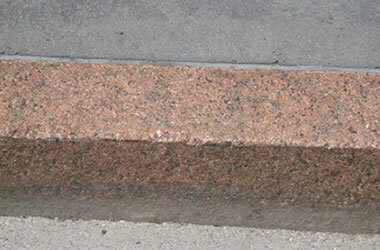 Curling stones made from the right granite can last through many years of regular use. Learn more about curling stones. 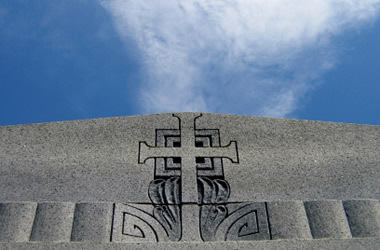 Image copyright by iStockphoto / bukharova. 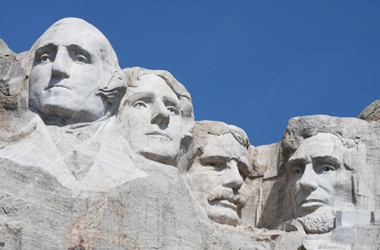 People have used granite for thousands of years. It is used as a construction material, a dimension stone, an architectural stone, a decorative stone, and it has also been used to manufacture a wide variety of products. 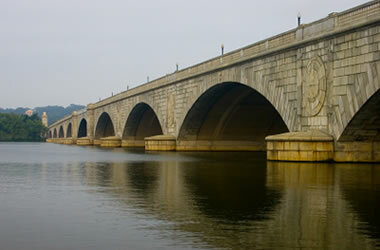 Granite is used in buildings, bridges, paving, monuments, and many other exterior projects. Indoors, polished granite slabs and tiles are used in countertops, tile floors, stair treads and many other design elements. 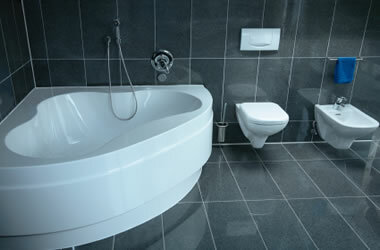 Granite is a prestige material, used in projects to produce impressions of elegance and quality. 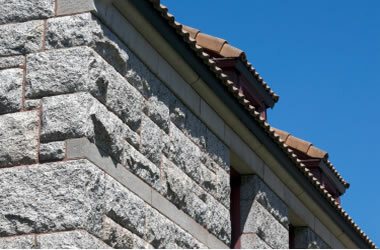 Some interesting and common uses of granite are shown in the photo collection below. The definition of "granite" varies. A geologist might define granite as a coarse-grained, quartz- and feldspar-bearing igneous rock that is made up entirely of crystals. 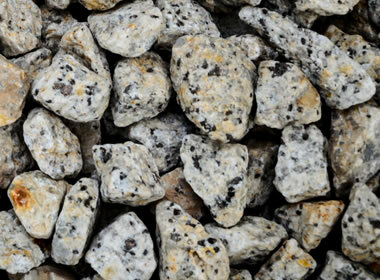 However, in the dimension stone trade, the word "granite" is used for any feldspar-bearing rock with interlocking crystals that are large enough to be seen with the unaided eye. By this classification, rocks such as anorthosite, gneiss, granite, granodiorite, monzonite, syenite, gabbro and others are all sold under the trade name of "granite." 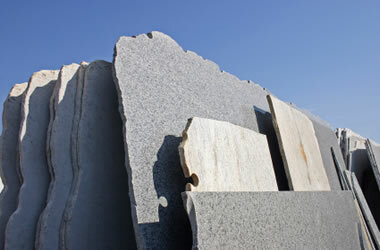 Colors of Granite: Rocks sold under the trade name "granite" are produced from many quarries located throughout the world. 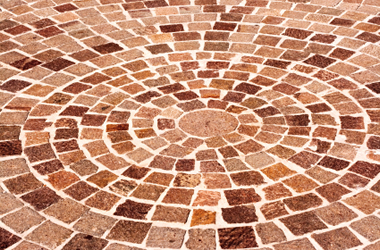 This yields a huge color palette for mixing and matching stone. Here are a few samples. One of the most interesting types of granite ever found has been named "K2" after the second-tallest peak in the world. At the base of the mountain is found a limited exposure of granite with bright blue azurite orbs that are typically about 1 centimeter across. Most people can't believe that azurite actually occurs within granite. The material is being cut into gems and has made its way into the U.S. gem market. 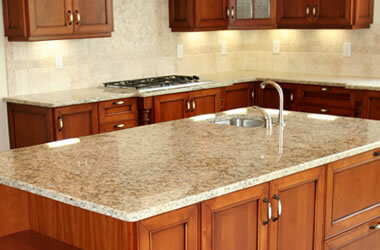 Learn more about K2 Azurite Granite.